Helsinki, FINLAND <December 21, 2011>. 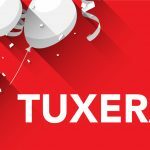 Tuxera Inc., the leading provider of Windows-compatible file systems for Android, Linux, Mac and other platforms, today announced cross-platform interoperability with the OMAP™ smart multicore applications processors from Texas Instruments Incorporated (TI). 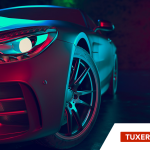 Further establishing its commitment to continued optimization on the OMAP platform, Tuxera also announced today it has joined TI’s Developer Network. In the first phase, Tuxera exFAT, NTFS and HFS+ file systems have been successfully integrated, optimized and tested on the latest OMAP 4 processors. 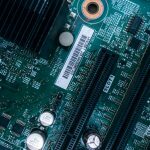 Tuxera’s mission is to make sure that any TI OMAP developer can build devices that have high-performance, built-in interoperability across ecosystems from Android phones and tablets to Windows and Mac PCs. 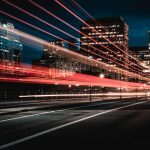 This effort ensures that any developer working on the OMAP platform can bring new features and capabilities to mobile phones and other portable and converged multimedia electronics. With Tuxera solutions inside, consumers experience plug-and-play interoperability with their latest generation SD memory cards, USB hard drives and other portable media. Tuxera NTFS, exFAT and HFS+ are now available for current and future TI OMAP customers. For more information please contact sales@tuxera.com. About Tuxera.Tuxera is the leading provider of file systems that allow music, pictures, videos and other content to be ported across devices. Building on the success of open source, Tuxera’s industry-standard NTFS and exFAT solutions for Android, Linux, Mac OS X and other platforms have tens of millions installations. Close collaboration with Microsoft ensures reliable compatibility and helps Tuxera to set the standard in high-performance, low power use for embedded and mobile solutions. Tuxera’s customers include leading hardware, software, and consumer electronics companies. For more information, please visit http://www.tuxera.com/.